Bob Forrest and licensed for reuse under this Creative Commons Licence. Surfing around the web, I often come across images that capture my attention and this one did just that. So peaceful and secluded, I had to learn more about the location. Before I tell you where the Pier House is located I want to interject that while most of you know that my family has been in America since the early 1600s, my children (on their father's side) are 2nd-generation Americans. Their Grandfather Inglis landed on Ellis Island in 1930, at the age of nine, from Scotland. Both of my children have always wanted to visit the country of their "other" ancestors and after seeing photos of some of the beaches there, I am inclined to join them. Yes, you guessed right, this lovely location is in Scotland. Located on the peninsula of Kintyre in western Scotland, the town of Skipness is where this photo was taken. 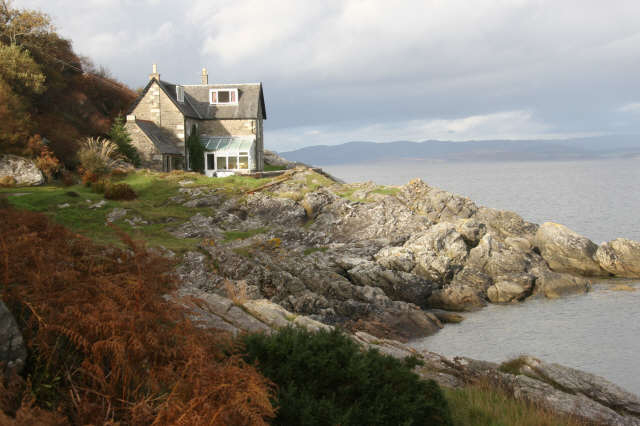 According to to the Kintyre website, "Kintyre is on the extreme west coast of Scotland, joined to the mainland by a narrow isthmus at Tarbert and has all the characteristics of island living without the hassle and expense of ferry crossings (though you can come by ferry as well.) The peninsula is about forty miles long and contains within it everything which makes Scotland such an attractive holiday destination. 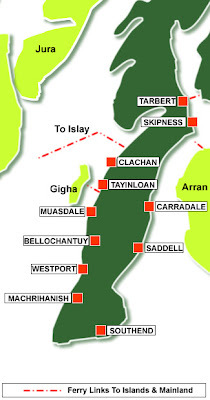 Here you will find the hills, lochs, rivers, forests, seascapes, sandy beaches, history and archaeology and the sea food which have made Scotland so famous, but with the addition of those ‘little extras’ which make us almost unique; the palm trees showing the effect of the Gulf Stream, the low rainfall (less than 40% of the rest of the west of Scotland), the most expensive eagles in the world, the absence of cars(our one traffic warden is the last example of an endangered species)." 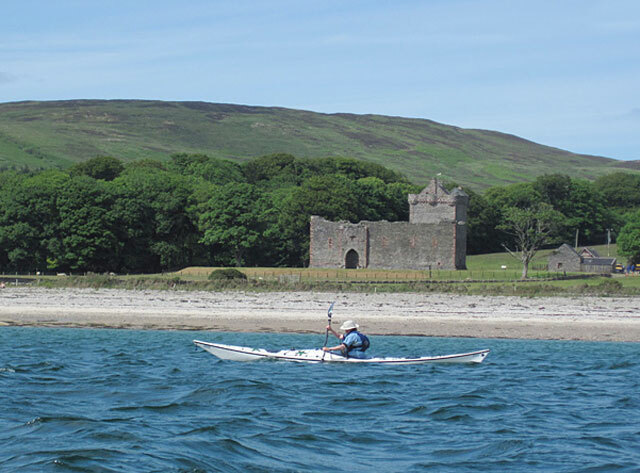 My interest peaked, I googled Kintyre beaches and came across this photo of a kayaker passing by the Skipness Castle, built in the 13th century. The lucky photographer runs the blog, Kayak Across the Water — Observations on sea kayaking (among other things) from Argyll, Scotland, where I spent a good hour reading about his adventures. 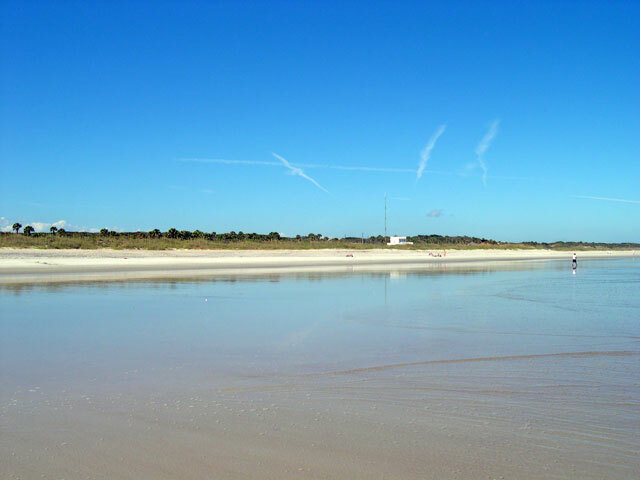 I have a feeling my blogging friend over at The Florida Blogger will enjoy this site, as well as the rest of you who love beautiful, remote beaches. If you want to see more, just click on the photo to the left and it will take you to an interactive map of Kintyre with more photos and information on the area. Scotland will have to wait for now, but I am packing my bags and heading to the beach. 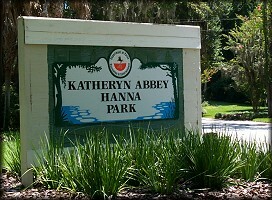 I'm going back to Tampa Bay for an extended vacation to visit family and friends. 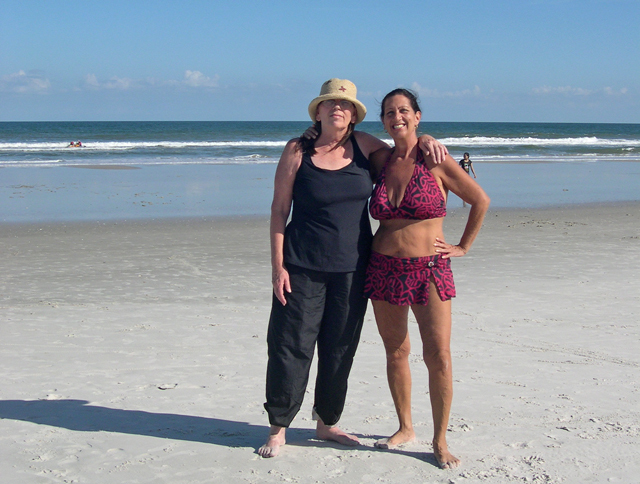 After spending some quality time with my daughter and granddaughter, I'll be heading further south to go night shelling with my bff Karen of The Essential Beachcomber. Karen and I have been shelling together the last dozen years or so and we are hard-core! We will be hitting the beach at 4:00am, yes, I said 4:00am! We're going at an extreme low tide, armed with buckets and headlights and you can bet we'll both be blogging about it. While there, we are also going to be meeting up with some our favorite beach bloggers, so stay tuned to find out who they are and what we'll be doing. I guarantee we're going to have a whole lot of fun; relaxing, shelling and meeting new friends! Now I know most of you don't think we really have Fall here in Florida, but I assure you, we do! Here you don't really see the changing of the seasons, but you do feel it. The humidity is down, as are the temperatures. We can open our windows again and more importantly, we can walk across the sand at the beach barefooted without burning the bottoms of our feet and doing that "ouch, ouch, ouch" dance. 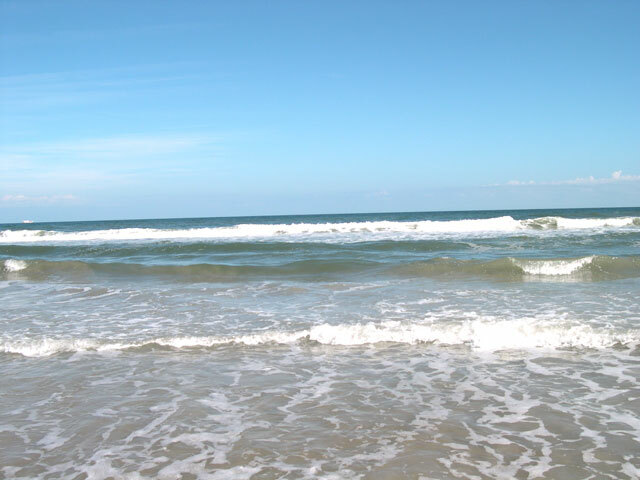 Yesterday was a perfect day at the beach, the water was refreshing and there was a gentle, cool breeze coming off the ocean. 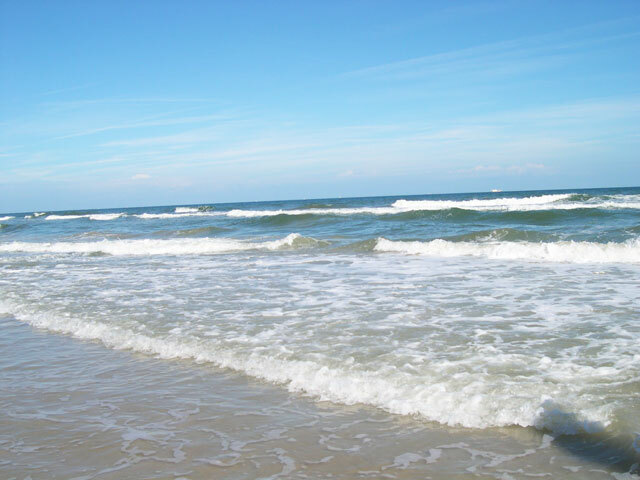 A friend of mine from the Gulf Coast was in the area with another friend and we decided that a trip to the beach was a good idea, but then again…a trip to the beach is ALWAYS a good idea. Thanks to a dear, sweet reader who recently contacted me, I had a list of places to go other than the crowded, touristy beaches close by. 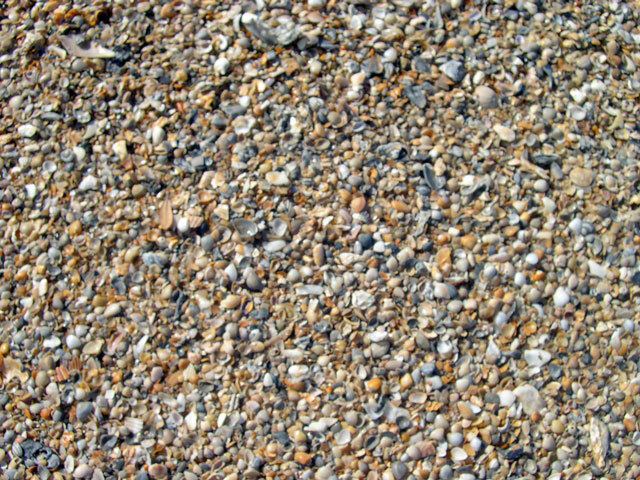 Thanks to Tana, I now know where to go to find shells here on the the Atlantic Ocean. I can't tell you how wonderful she is, but then she's also a sheller and understands the obsession. She not only sent me a detailed email with directions to her "sweet spots" for shelling, she made me a personalized google map with all the locations clearly marked. How sweet is that? Thanks Tana! Jeanette and I taking a moment to pose for the camera before starting a leisurely walk along the coast. Theresa was having a great time searching for shells with her grandson. I should probably tell you that the day before I tweaked my back and spent the day in bed, so I wasn't doing a lot of bending over and picking up. 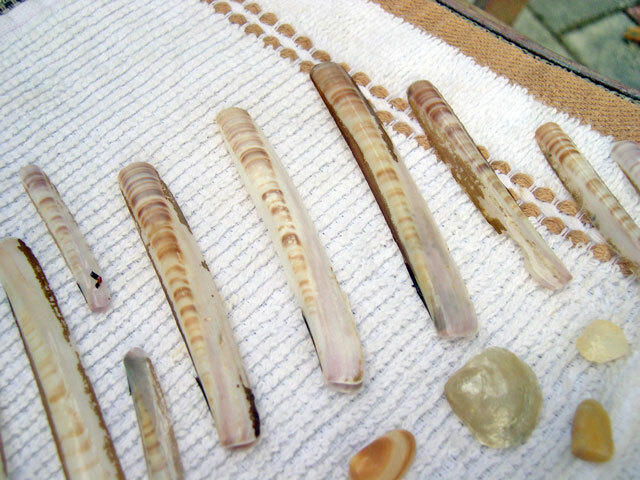 There were quite a few shells, but most were the same ones I have TONS of in my collection. I knew I could return for those on another day, should I find a shell project I want to create. Nice to know they're available, so I picked up just a few to show you. 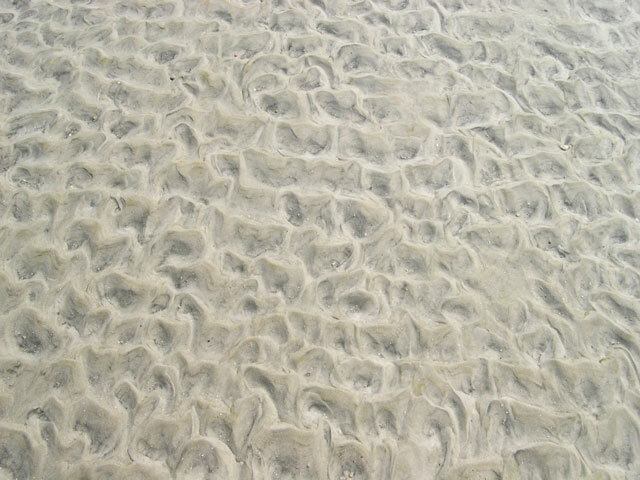 Lots of gorgeous oyster shells that have been smoothed by the sea and in a variety of colors. I think the specimens here are nicer than on the Gulf Coast. I have never seen these before and I think they are very cool. Ensis directus, the Common Razor Clam, is also called a Jackknife Clam in the United States. 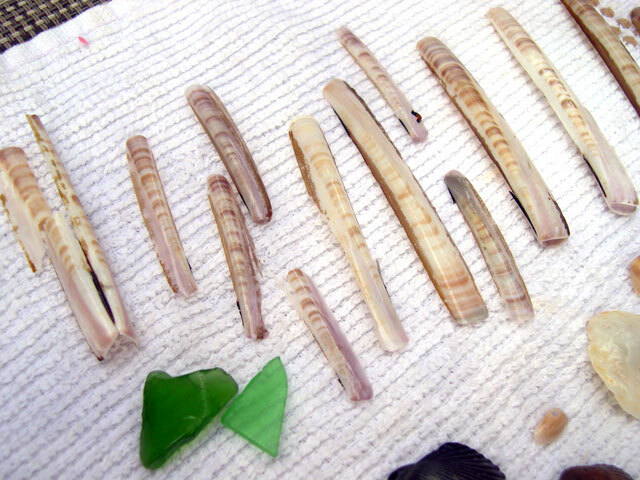 They are very fragile, so I was excited to find several intact. I broke the one on the left as I tried to open it further to show you. Always fun to find something new to add to my collection! There were tons of minis, another reason to return soon. 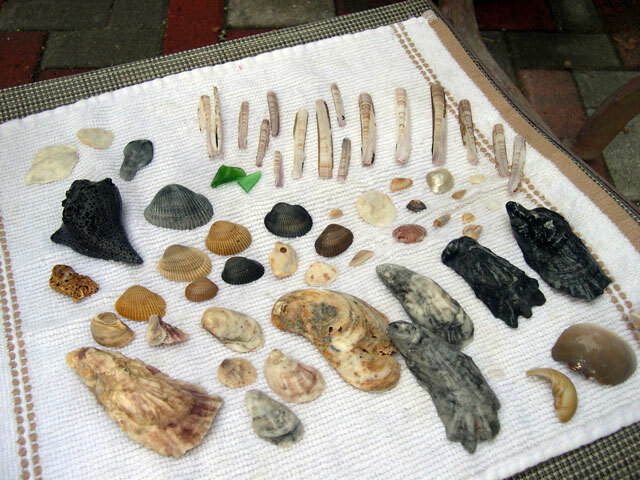 We did find augers and a few murex, but they all had hermit crabs living in them and even though it is legal to collect live shells here, I left them behind. The crabs found them first! I must say I have never seen so many hermit crabs before and it was quite funny to see them scurry about with their new homes, especially the augers. 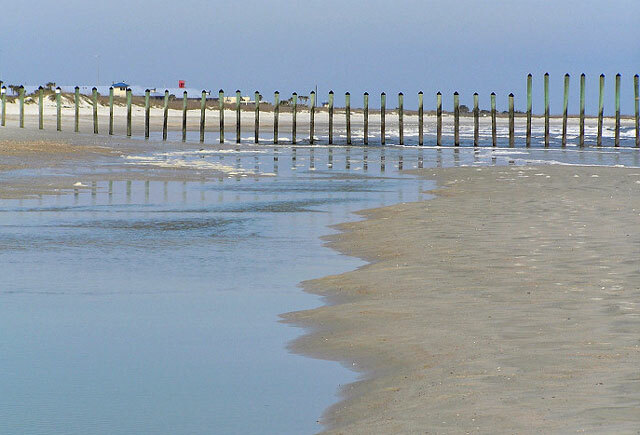 These are known as "The Poles" and this is supposed to be one of the better surf spots in the Jax area. For me, they mark a good shelling spot that I can't wait to return to in the near future. Thanks again, Tana! Well, that's it for today, I'm going to be dropping in on all of you in the next few days, but first up is Cindy at Applestone Cottage. I know her grandchild was born during my absence and I can't wait to see pics! As for the rest of you, thank you for your comments, your emails and most of all, your friendship! See you real soon. If I missed anything really exciting, please let me know!